Is it the Calm Before the Storm: Where do You Want to be in Two Years? Can I remain the CEO after I sell my business? Touchstone Advisors, LLC offers a no obligation “Speaker Series” to each Regional Community for all types of associations and organizations. Each 30 to 90 minute presentation can be tailored to meet individual needs and time frames. 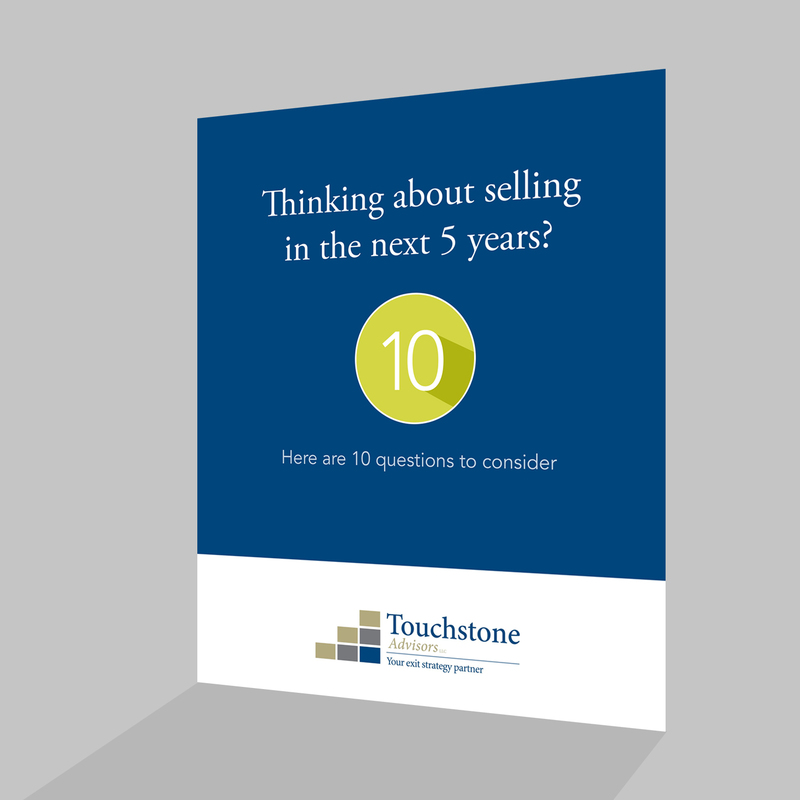 All have been developed and are delivered by one or more of Touchstone’s Advisors. Call or email us today for more information and to schedule us at your next meeting or event: info@touchstoneadvisors.com or 860-253-9087. There is not one “value” for a business. So what is the difference between “financial value”, “fair market value”, “fair value” and “synergistic and strategic value”? This seminar demonstrates the distinction between the value of a business and the price paid for it! It also introduces the concept of “most probable selling price”(MSP). You wouldn’t decide to sell your house today and begin marketing it tomorrow. Likewise, there are improvements to your business that will dramatically affect both its “Sell-ability” and the price it will attract when the time comes. Learn why two businesses of the same size in the same industry sell for vastly different prices. No business owner plans to fail, but unfortunately, some fail to plan … and, some of those who do plan, don’t have a plan that creates value. In this insightful seminar, we present a 5-step process for the development of a customer-driven, economic value-based strategy, along with a way to measure progress and success … a “must” for owners who want to capitalize on what they’ve worked hard at and achieve their long-term objectives.